"Wow, that was fast! Thank you so much, you’re the best! I love the bands and the sizes worked perfectly. My only regret is not using them sooner." ABA Legbands may be ordered on line by using the convenient drop down menus at the bottom of this page. You can also place your order by mail. Shipping charges will apply for each order so to save money, order enough plus a few more the first time. These bands are not “required” – however many of our ABA members feel these are a MUST for their breeding programs. They are made of plastic and numbered clearly with ABA, the year (19) and an identifying number. They are “seamless”. They are intended to be placed on “Young – growing” birds. Many ABA members try to put them on the birds when they are around 8-12 weeks old. You try to place them on a growing bird, if they slip off – you try again in a week or so – repeating the process until they stay on. Once on – they are permanent. (The only way to get them off is cut them off) That is why they carry the year on them. 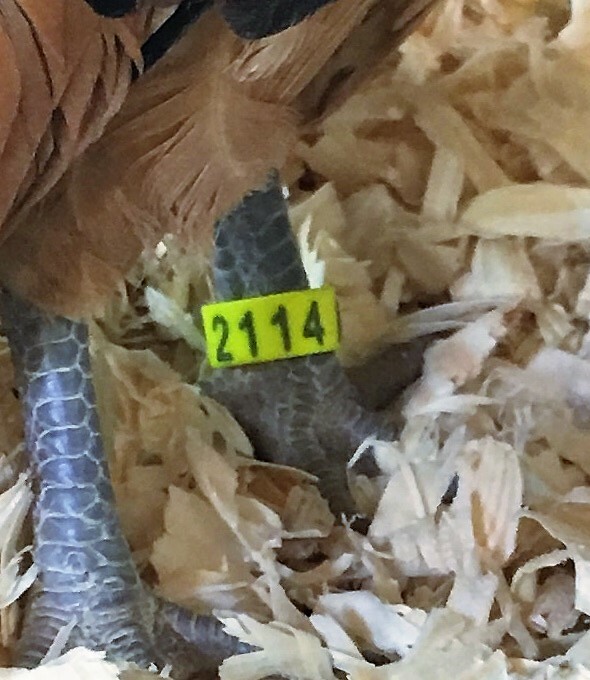 – 19 – You will ALWAYS know that these birds were hatched in 2019. It cannot be any other way. What a convenient way to keep track of your birds age. This tool is “Priceless” in the breeding pen! To get yours, use the form and reference chart that follows before we run out…. As a reminder, in addition to the standard awards offered at the annual and semi-annual meets each year, the ABA offers an additional $50 for Champion Bantam and $25 for Reserve Champion if either winner is wearing an appropriately sized seamless ABA leg band. The ABA thanks everyone who has supported this program in the past, as well as our new customers!! 2019 ABA Leg bands are now available. New for 2019 - ABA Members receive special pricing on leg bands. Not an ABA member? Click here now to join and begin receiving all the benefits offered as a member including the special pricing and bulk rate offer on leg bands.